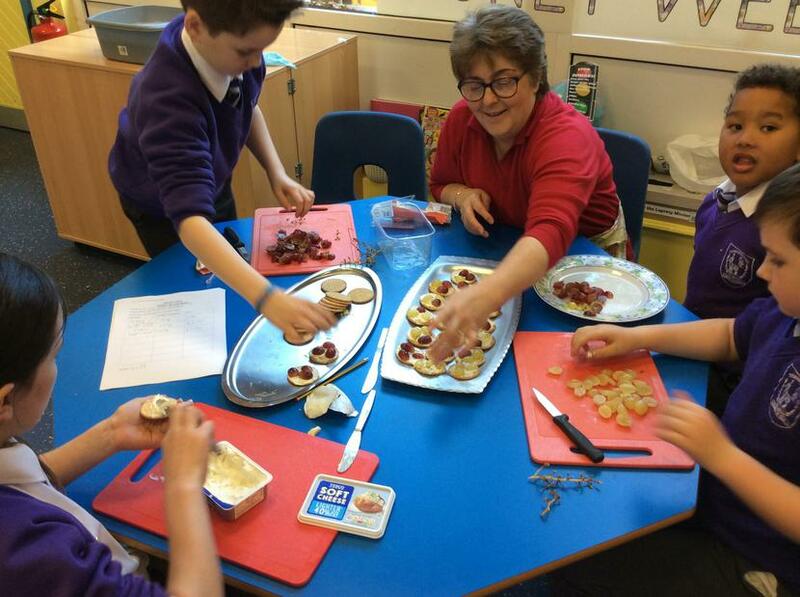 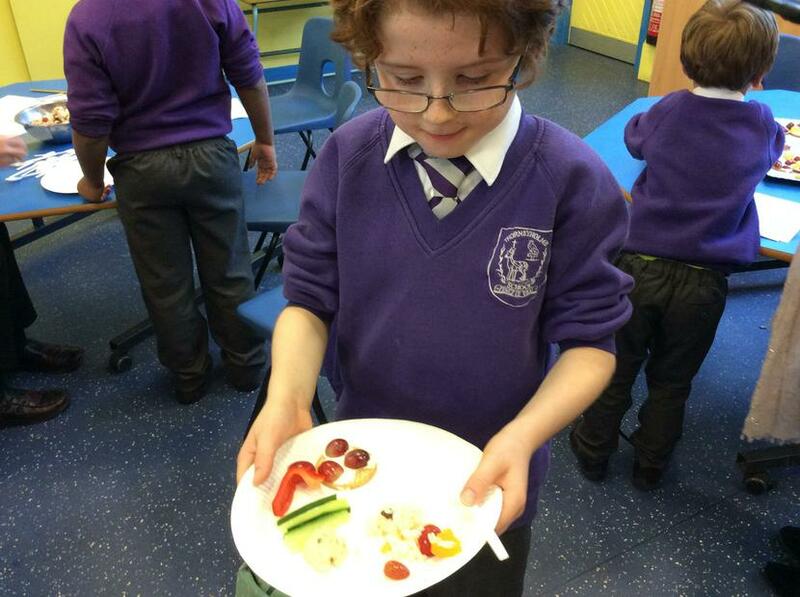 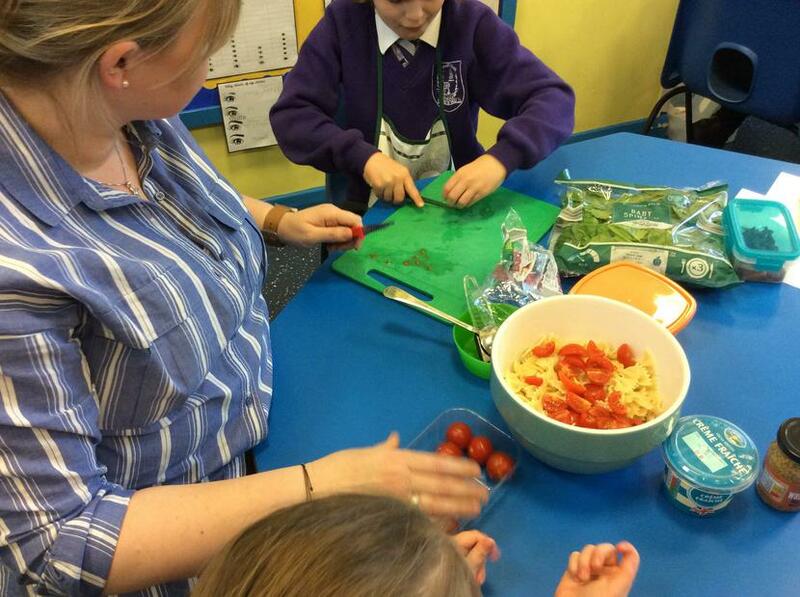 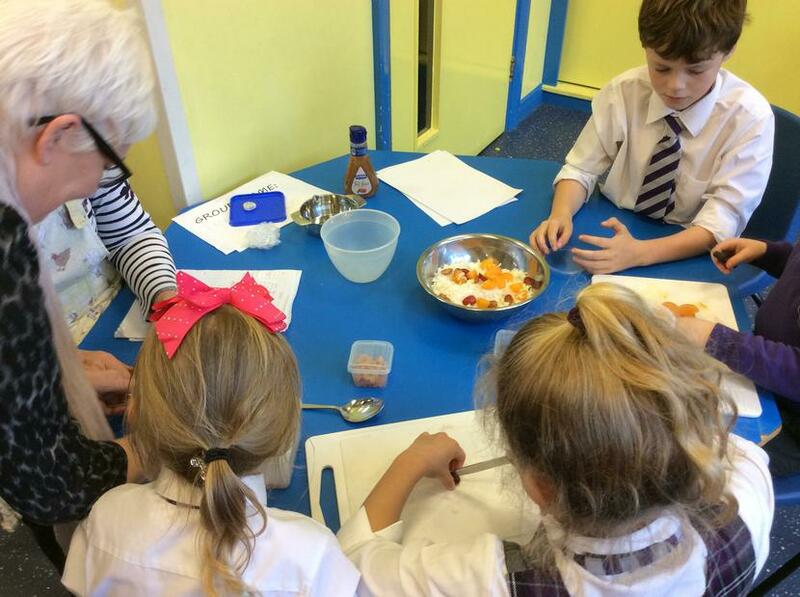 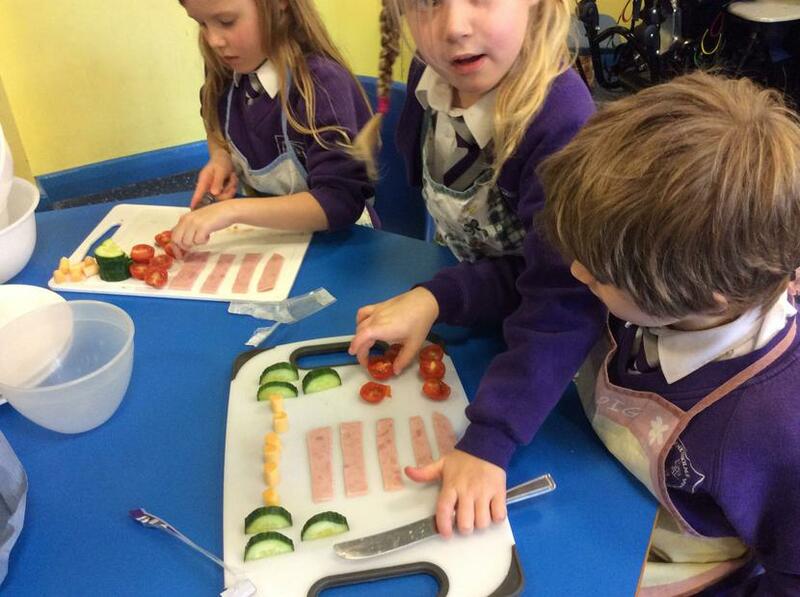 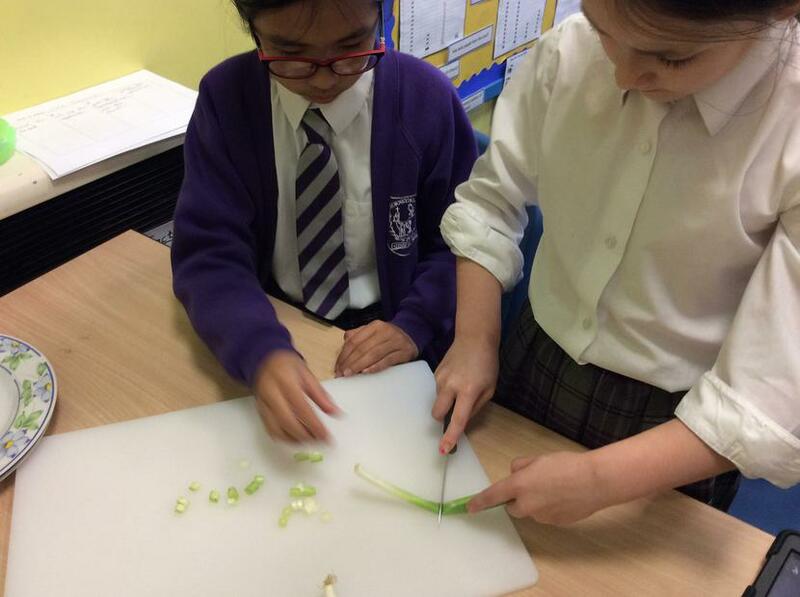 This week, during Money Week, the children had enormous fun using and applying their mathematical skills to create a food dish on a budget! 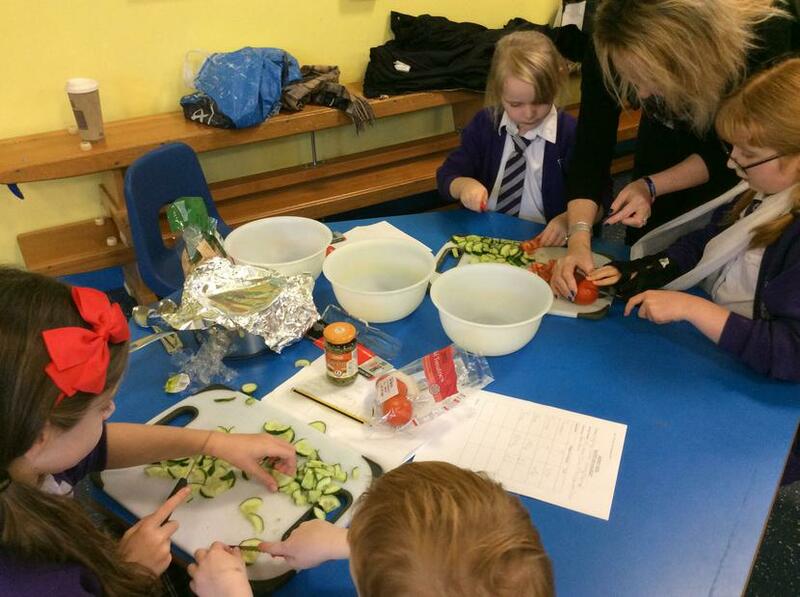 Both parents and local residents came in to cook with groups of children who named themselves the Buffy Bakers, Fruity People, Fabulous Foodies, Sizzling Sisters & Brothers, Super Chefs, Cooking Masters and Poling (Polish/English) Cooks. 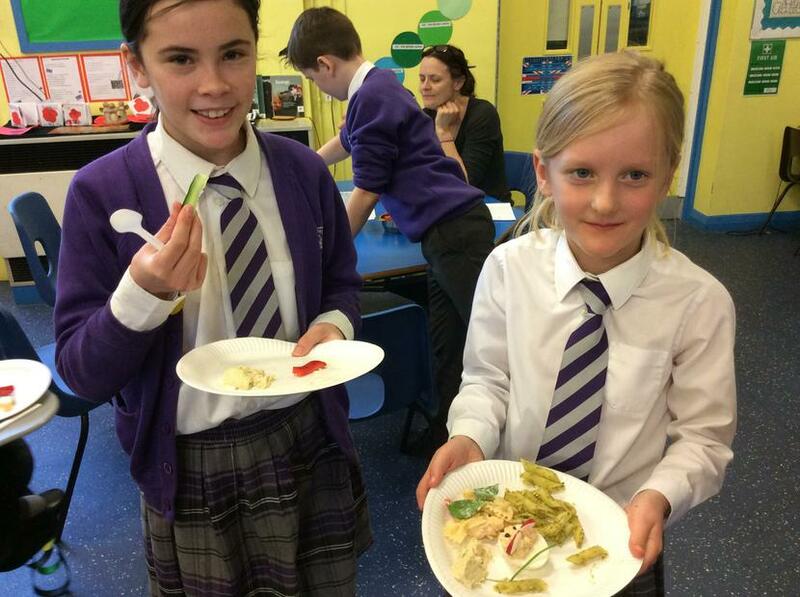 The groups first of all worked out the costing of their dish according to the weights used and after much fun preparing it, they had the pleasure of tasting all the cuisine! 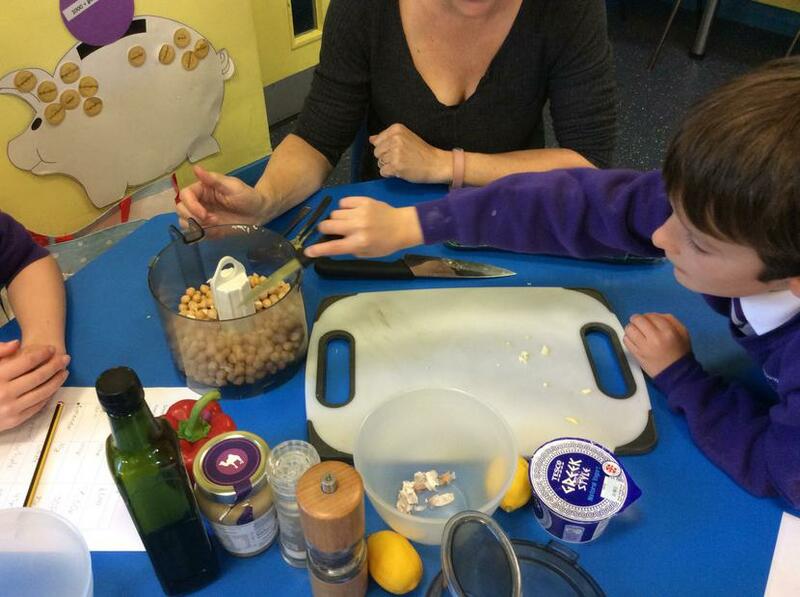 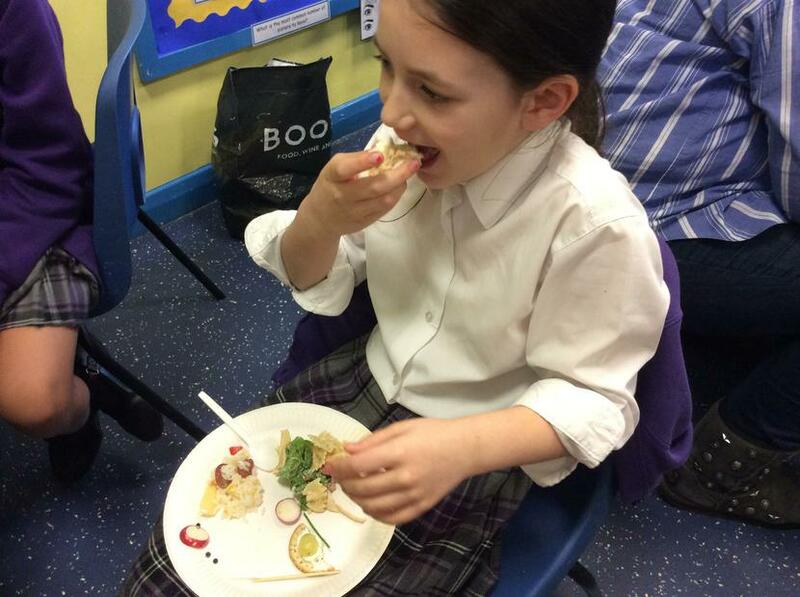 Dishes ranged from lemon and coriander hummus to rice and pasta salads.